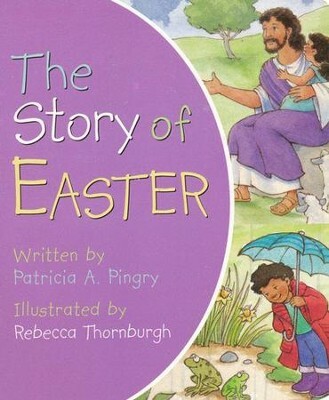 Here's an easy-to-understand presentation of the Easter story for your little ones! Pairing Rebecca Thornburgh's vibrant new illustrations with Pingry's classic text, the tale of Christ's death and resurrection is told in 200 simple words that are gentle enough for even the youngest readers. Ages 2 to 5. 22 pages, boardbook from Candy Cane Press. A classic bestseller presented with fresh, bright illustrations. 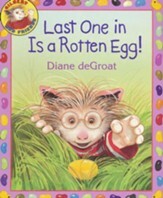 Here is the story of Easter told in about 200 words that are simple enough for a toddler to hear. From Jesus entry into Jerusalem through the crucifixion and the Resurrection, the Easter story is presented in its most traditional form. Vibrant illustrations paired with classic text bridge the connection between the biblical story and todays Easter celebration. This book is unsurpassed as an introduction to the significance of Easter. Patricia A. Pingry has written dozens of children's books and edited hundreds more. 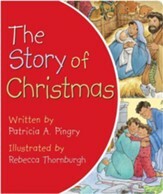 Among her best-known titles are the perennial bestsellers The Story of Christmas and The Story of Easter. Together these two titles have sold more than 2 million copies. Patricia lives in Nashville, Tennessee. I'm the author/artist and I want to review The Story of Easter.